Posted on October 27, 2015 in Industry by Carlin Leung. Our SEO Basics series translates technical SEO jargon into plain English so beginners can actually read the guides intended for them. Our goal is to keep these posts simple, understandable and actionable so siteowners like you can focus on running your site instead of getting bogged down trying to understand overcomplicated SEO concepts. You’ve left this item to the end because, well, it looks intimidating. A quick search for “SEO” or “What is SEO” returns pages full of jargon like “ranking factors,” “white hat optimization” and “SERPs” — yikes! Don’t worry—we’re here to help guide you through the world of SEO. Here’s what you need to know about the basics. Translation: when people use search engines like Google or Bing to search for topics related to your site, your pages are more likely to be at the top of the results. So using good SEO tactics will push your site to the top of search queries. First off, this is huge question, and there are tons of ways to look at it. Let’s keep it nontechnical. Google and other search engines’ ultimate goal is to serve up the most useful and relevant sites to the user. Search engine optimization techniques make it easier for search engines like Google to identify what the information is on a web page and who it might be useful for. For example, if you are searching for pancakes, the search engine will return sites that are related to your search, which is pancakes. Otherwise, people are likely to jump ship to another search engine that serves better results. 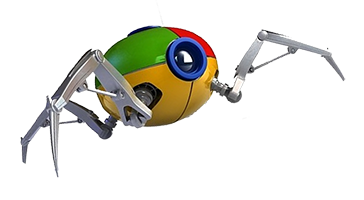 Search engines find websites by using automated programs (known as “bots”) that look at every page on the web. These bots look at every aspect of the site, including what it’s about, what’s on each page, how it’s designed and what other sites link to that site. They report this (and much more) information to the search engine. The search engine then uses that information to determine what sites are relevant to what topic. Aka: when people search for any given term, the engine can deliver useful results. The actions listed below are ways for you to tell these bots, “Hey, this is what my site is about. If people are looking for something that they can find my site, don’t forget that I could be what they’re looking for!” When the report returns, your site is likely to be ranked as more relevant and useful. Therefore, it’s more likely to be a high-ranking search result when people search. If you’re looking for more in-depth explanations, check out Moz or GotchSEO; they do a great job explaining how and why SEO works. The most important step when it comes to SEO is to consider your site like a user. Self-audit your SEO and site by giving good honest look and asking pertinent questions like, “If I’m a visitor on this site, what would annoy me? What would I change about it? What don’t I like?” Forget what’s feasible and what’s not for a second and think about what will make your site better. Write down a list of ‘annoyances’ or edits you’d like to make—maybe your site takes too long to load, or you can`t figure out how to find a certain page (here’s a list of common annoyances). From there, figure out what’s realistic to change. If it helps, ask a friend or another third party to browse through your site and provide feedback. Does all my writing make sense? Are there too many ads on my site? Is it easy to figure out how to get around the site? Do all my links go to the right sites or are there dead ends? Does the site provide its intended value to the reader? Remember: a search engine’s first priority is to make sure the search results they display are useful and relevant to the users. By doing a self-audit, you can make sure your site is relevant to your users, which will help your search performance significantly. That’s it for this post! Stay tuned for more in our SEO Basics series. 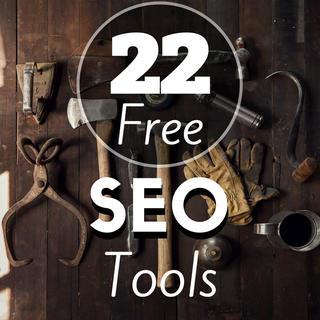 A curation of the best free SEO tools available on the web. Without a doubt, this is the number one SEO tool all marketers use for complete web stats and data insights. Why? Because all the actionable and important data about site visitors, traffic, keywords, etc., comes from this vital source. Marketers need Google Analytics like humans need air. Disclaimer: Google Webmaster Tools isn't just for webmasters; in fact, it's perfect for people focusing on search and optimization. Best of all, much of the data is presented as simpler than Google Analytics; it's also very complementary to GA. The oft-overlooked Bing has its own webmaster tools that are just as essential for marketers, as Bing powers Yahoo. It's simple software lets you view the number of clicks that were made to your site, search query volume and extensive insight on important instances (like on-page keyword optimization, crawling, and indexation). A godsend of hidden gems for marketers and SEOs, Google Trends’ Explore function allows people to compare search queries to see which query is more popular over periods of time. We've detailed how to use it extensively [here](http://blog.quiet.ly/industry/exploring-google-trends-explore-function-finding-keywords-queries/) and it's a stellar, little-known tool. Within a division of AdWords, Keyword Planner is the place to start for keyword research, usually. The tool focuses on keywords to research for ads and is focused on AdWord keyword generation. Though it won't search for the best keywords to use organically, it's a great start to your keyword research. It's hard to disagree with Keywordtool.io's assertion that it's the "best alternative to Google Keyword." The free tool helps you find the keywords people are searching into Google's search box, generating up to 750+ keywords for every search query. It's especially useful as it doesn't hide popular keywords that can be used to create content for your website like AdWords can. A browser extension that gives you quick access to many on-page SEO factors for any page on the web, this is a handy freemium tool that lets you create custom searches, compare link and social metrics, highlight links and keywords and quickly expose page elements. It's worth it to grab the premium subscription, but it's a good intro SEO tool all the same. Need to generate a quick report to analyze and measure the ranking potential of any web page? Then use SEOWorkers Analysis Tool, which features some comprehensive keyword research and analysis. Bonus points for the site actually _teaching _you SEO in the process so you can improve your SEO and make fewer mistakes in the future. There's also a free browser extension available. WooRank creates a comprehensive SEO analysis of any page on the web by determining where your site has succeeded, what it needs to improve on and what needs to be fixed. The site is also useful for marking up social shareability, mobile rendering and load time, and for handing you a marketing checklist to tighten your site's SEO. To audit and score your website, use this free tool; it measures overall data, common SEO, speed, mobile usability, site security and advanced SEO tactics. It also advises you what to fix and how to do so. Need to determine your website's speed performance? Then use GTmetrix, a free tool that uses PageSpeed and YSlow to generate scores for your pages from A to F. It's essential to measuring SEO. Specializing in microdata, Schema Creator allows webmasters and SEOs to create custom code to control exactly what users see in your Google search results. From price to reviews to product ID to manufacturer information, you can control reviews and aggregate rating information. You can also add your aggregate rating information based on your average rating and overall number of reviews. With a clean interface that completely analyzes your website, The QuickSprout tool does a comprehensive look at just about everything worth looking at: SEO optimization, tags, keywords, social, links, speed and even competitor comparisons. Can your customers find you on the web? Local businesses and SEO aimed at local businesses love this tool. It scours through Google, Bing and other local search engines to see where your business ranks on the internet. Another freemium product from Moz, Open Site Explorer quickly creates a report for you to look at a full range of link analysis, including the most impactful links coming your way and your most linked-to pages. Great for competitor research, compare website traffic for any site with this advanced traffic estimator tool. A self-explanatory tool: input your website into the bar, determine how many pages you want analyzed (up to 5,000) and wait for the results. An underrated, handy little tool. If you want to see where your site ranks for specific search terms, use SERP Checker. Simply input your keyword and your website to see where you rank, or leave the website field blank to view the top-to-bottom list of results for a keyword. Duplicate content is punished in SEO-land; use Copyscape—a free plagiarism checker—to detect duplicate content and check if your articles are original. Remember: no results is good. The Internet’s most complete historical archive, it can show you what a website looked like and lets you see what a website used to look on a specific date. It's useful for SEOs in tracking down missing traffic. For example, if the numbers for a site have changed, something about that site might have changed. If you don't have a site back-up avaialble, the Wayback Machine can fill in the rest. SEO and social media go hand in hand. To monitor what's happening on your social channels and to interact with top influencers, use Hootsuite, Hootsuite the leading social media dashboard. It's easy to manage multiple networks, profiles, keywords, influencers and to measure any campaign results. A freemium tool, BuzzSumo is often thought of as a social media tool, but social media is forever linked to SEO, making it an undervalued SEO tool. It's a great SEO tool to frame content ideas. It's free to use (the basic version) and you can run a search in seconds!